GRAFENWOEHR, Germany — Over the course of two or three years in Europe, many Soldiers and military families find that building a modest alcohol collection — from regions famous for wine, for example — becomes a part of their experience abroad. But what happens when it’s time to transport this collection with government orders to return stateside? The process is simple. The first point of contact after receiving orders, regardless of household good contents, is to stop by your local on-post Transportation Office. It’s Your Move, a comprehensive resource developed by the U.S. Transportation Command, suggests beginning the move process as early as possible, even as much as thirty days or more out. Soldiers and families can opt to manage most of their move operations all online on the government’s Defense Travel System. For Soldiers and families departing from Bavaria, staff at the USAG Bavaria Transportation Offices on Tower Barracks, Hohenfels and Artillery Kaserne are available to answer and assist with all personal property transportation questions. So what about shipping wine, beer and liquor? The Military Surface Deployment and Distribution Command authorizes DOD personnel to include alcohol for personal use in their household good shipments. 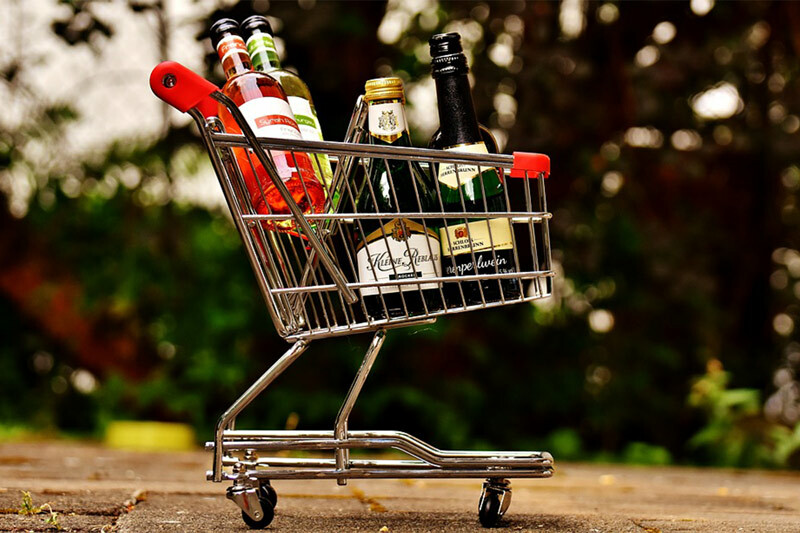 The government pays for the ordinary import rates for all household goods, including alcohol. Alcohol cannot, however, be shipped through any other DOD-sponsored means, such as non-temporary storage and unaccompanied baggage. To date, no federal limit restricts the total amount of alcohol that can be imported into the country. The military’s Joint Travel Regulation, however, prescribes overall weight allowances for personal property moves based on a service member’s rank and number of dependents. For example, a service member with a rank of E1-3 with dependents is allotted a total move weight of 8,000 pounds. Sergeants with dependents are authorized up to 9,000 pounds. Depending on the state to which a service member relocates, import restrictions on alcohol may apply. A service member may not be limited by federal law or military regulation, but he or she may have to comply with state law. In the U.S., all fifty states maintain jurisdiction over the distribution, production and importation of all alcohol within their borders. Some states bar imports without appropriate licenses or levy heavy duties, while others have relatively open borders, according to data compiled by the U.S. Department of Treasury’s Alcohol and Tobacco Tax and Trade Bureau. To get the process started, head to the Transportation Office as soon as you receive official orders to move for a permanent change of station, retirement, separation or expiration of terms of service. Let them know you intend to ship alcohol with your personal property shipment. The staff will give you a packet to complete to help get you started. It is the responsibility of DOD personnel who want to ship alcohol with their household goods to comply with all federal, state and local requirements regulating alcohol. Service members must contact their new state’s alcohol control board and obtain a written document — often in the form of a stamped certificate — confirming official permission to ship the intended alcohol. To find the official contact information for the state of their next duty station, visit the U.S. Treasury Department’s State Alcohol Authority Directory. The next important document in the alcohol shipping packet is proof of payment. Service members and DOD employees must complete all state requirements and pay the state’s duties in full. Provide proof of payment to the Transportation Office. U.S. Customs may detain containers of alcohol along the shipment route without proper documentation, according to an advisory from the military’s SDDC. Service members and civilian employees transporting alcohol on official travel orders must complete CBP Forms 3299 and 7501 as part of the alcohol shipping package. The Transportation Office will provide these forms. An inventory with specifics on every alcoholic product in a service member’s shipment is required by the Transportation Office. Customers must provide the description, quantity, year and origin of manufacture, value at the time of purchase, alcoholic content and total value of all alcohol intended for shipping. Transportation service providers, or companies transporting DOD personnel personal property from one duty station to another, typically hire specialized customs brokers to clear shipments with alcohol at the U.S. port of entry. These customs brokers sign documents allowing the packages to move across the U.S. border and must have a signed special power of attorney from the service member or civilian employee. Power of attorneys can be generated at a local Legal Assistance Office. Once all the supporting documents are complete, submit the finalized alcohol shipping packet to the transportation team. From there, the Transportation Office officially initiates the move process, assigns the customer a transportation service provider and locks in packing and moving dates. Transportation service providers deliver household goods and parcels containing alcohol directly to customers’ delivery address on file. Only the Transportation Service Provider can pack alcohol. Service members, DOD employees and family members should not attempt to pack their alcohol. The Transportation office recommends customers reserve a study container, such as a plastic bin, to store the alcohol during shipping. The moving company packs the items, but a sturdier container reduces the risk of breakage and damaging other household goods. For more on the alcohol shipping process, contact the USAG Bavaria Transportation Office. The Tower Barracks Transportation Office is located in Bldg. 244 on the second floor and can be reached at DSN 475-8447, CIV 09641-83-8447. The Hohenfels Transportation Office is in Bldg. 10 and can be reached at DSN 466-2860, CIV 09472-83-2860. The Garmisch Transportation Office is located in Bldg. 202 on Artillery Kaserne and can be reached at DSN 440-3488, CIV 08821-750-3488.